A unique finish, chalky matt is now one of the most popular finishes when upcycling furniture. The finish is dead flat and used to create a chalky, shabby chic or distressed appearance. It’s sheen level will typically be around 2%. Where durability is important it can be over coated with a special wax or sealer. Matt emulsion is commonly used on walls and ceilings and often where the surface is uneven. It is a flat finish with a sheen level of less than 10%, therefore non-reflective in appearance. 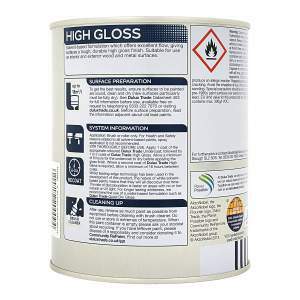 Less washable than its glossier counterparts, matt can be subject to scuff marks when used in deep tones and high traffic areas such as halls. There are however durable matt options available in most ranges which are designed to resist marking. We’ve grouped these together as each of these finishes are visibly shinier with a sheen level at varying degrees around the 20% mark or more. Eggshell and satin finishes are traditionally used as a modern alternative to gloss for trim. They have a dull shine which is, as the name suggests, likened to the shell of an egg. Used on features including skirtings and window surrounds, cills and frames it is a more durable finish than matt with better washability and a smoother appearance. 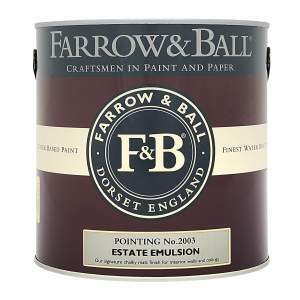 Eggshell finish is also suitable for decorating larger areas including walls and ceilings however acrylic eggshell paints are recommended for this type of job due to their lower VOC content. Silk and soft sheen finishes are traditional finishes used for walls in higher traffic areas such as hallways and kitchens due to their shinier and therefore more wipeable properties and a greater resistance to steam. It is worth noting when choosing a wall finish that those with higher sheen levels can highlight imperfections in the walls. Gloss is available for both interior and exterior decorating. The sheen level is high at approximately 90% making it highly reflective and washable. Water-based and acrylic glosses will usually have a less sheen than solvent-based. Commonly used on trim, gloss (when applied well) will give a beautiful mirrored effect. In some commercial kitchens special gloss finishes may be used to coat walls as they can provide a more hygienic washable food preparation area. Specialist hygienic coatings in various finishes are available. Masonry paints are available in two key finishes; smooth and textured. Weather durability is a key factor when choosing masonry paint. This finish is usually matt and smooth to the touch and fairly easy to keep clean. The aggregate encased within this paint gives a lightly textured finish, ideal for covering imperfections on exterior walls. Weightier versions are available which are heavy bodied to give a much deeper texture. These are suited to walls with larger flaws to cover or where a deep texture is required aesthetically. Walls coated with a textured finish are likely to need cleaning more often.